We probably all have vague memories from school of being told that our town is twinned with a European counterpart. The European town twinning was established in the immediate post-war period and there are now around 17,000 twinning links across Europe. 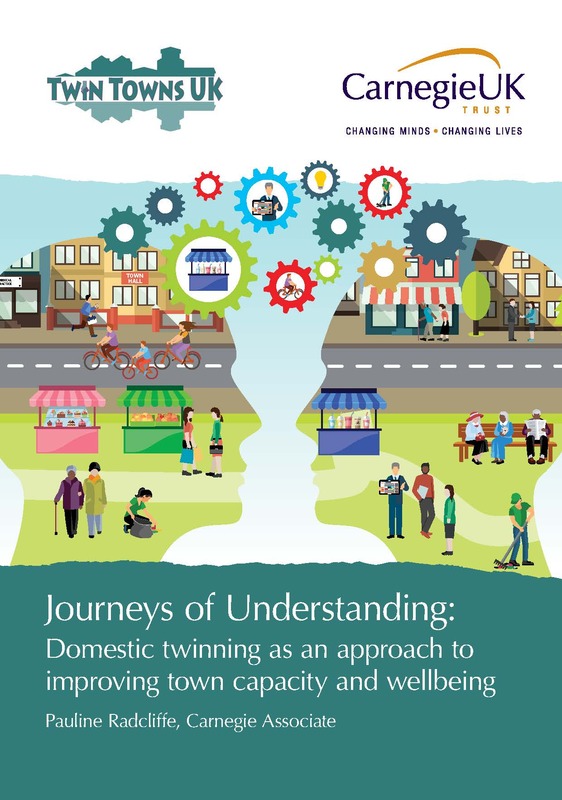 When the Carnegie UK Trust was thinking through how to support towns to learn from each other, we were surprised to find that there was no intra-UK twinning programme. There have been learning exchanges over the years, but nothing that proactively built longer-term relationships. With Brexit around the corner, we felt the time was right to think about establishing such a programme. Twin Towns UK aimed to reinvigorate local towns through a process of learning and collaboration. By pairing towns across the UK that had similar characteristics and socio-economic challenges, the towns were encouraged to think differently about what they could do to improve their local places. The towns we worked with faced a range of challenges, similar to those experienced by towns up and down the country, including recent or historic loss of employment due to the decline or closure of major industries, empty shops on the high street and low energy and motivation of community. Over the course of 18 months the participants inspired each other, establishing new cycle routes, digital gateways, heritage trails and pop up markets. But I think most interestingly, they reported that the process of introducing themselves to strangers from other parts of the UK helped them to understand themselves better, and see their positives as well as the shared challenges. They emerged with a stronger sense of their unique value and contribution. Thank you to all the participants, and the support team around them led by Pauline. We will be continuing to explore methods of engaging with towns over the next two years to support them practically and to amplify their voice in policy and media discussions.